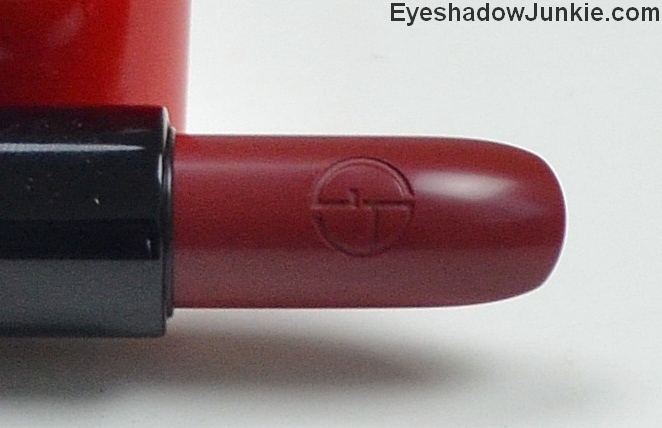 Giorgio Armani has just released a new line of lipsticks…Rouge Ecstasy. Armani describes this line as “CC – Color & Care”, which is a new innovative hybrid product. It is supposed to have the comfort and softness of a lip balm (care). The velvety soft, everyday lipstick coats lips in saturated, 36 ultra-luminous shades (color). I was at Armani’s beauty counter for another reason, but was immediately attracted to the fabulous red packaging. The ingredients include shea butter and jojoba oil, but the formula is a bit stiff, though softer than their Rouge D’armani line. It is comfortable to wear and isn’t drying, but my lip balm addicted lips could use more moisture. 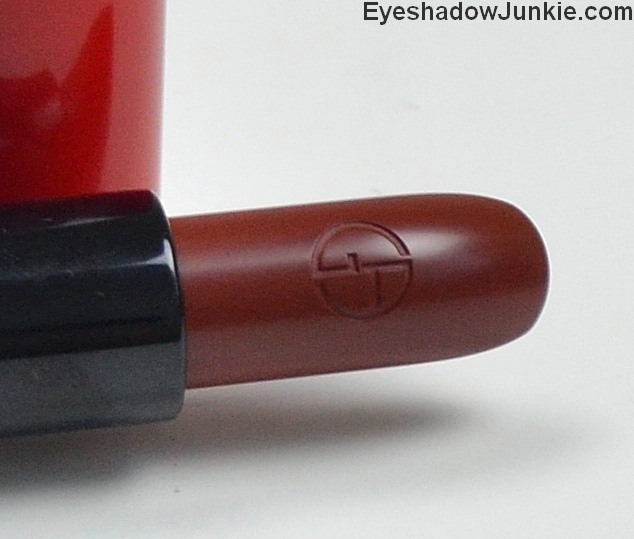 It has a satin finish with nice pigmentation and lasts for 3-4 hours without needing to reapply. The shades in this range neutral, everyday colors. 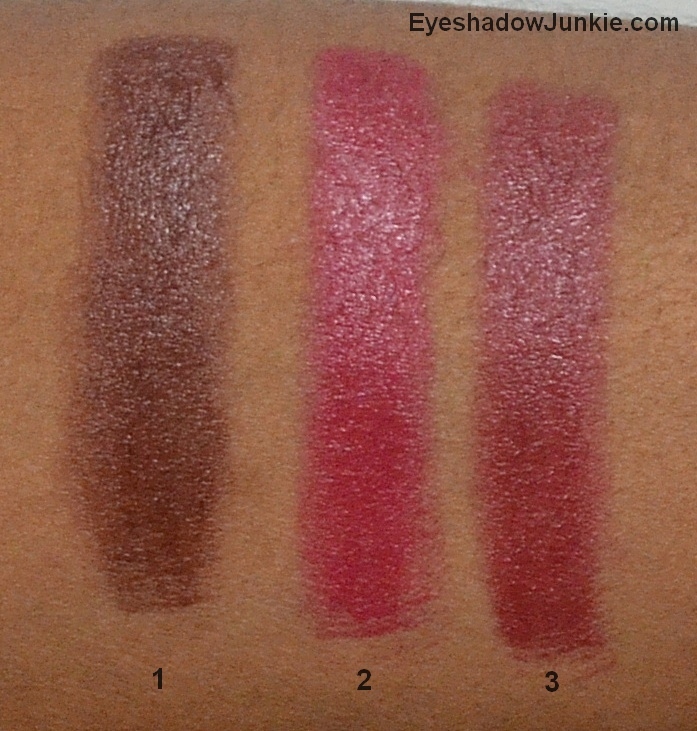 There are no massive bright pinks or purples in this range, but there is a shade for every skin tone. Armani attempted to move away from its numbering system for this line by giving the shades names. Unfortunately, the names are not on the actual product. A swing and a miss, Armani. You get 4g of product for $34. The cost is two dollars more than their regular line. These are available on Giorgio Armani’s website (pretty accurate swatches) and counters. #204 – Caffè, a neutral brown. 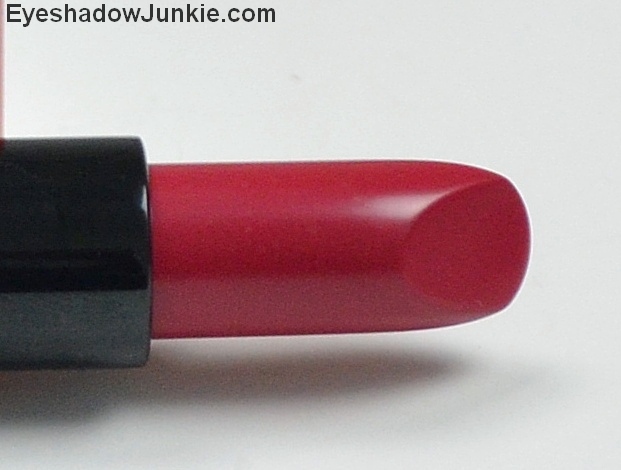 #502 – Scarlatto, a mid-toned berry pink. #600 – Mania, a plum.